With eTrainCenter LCMS Solutions, you can create online assessments/exams. Our content management based solutions are excellent for distance education and distance learning programs. Multiple versions of an exam can be created. View our demo to see how. 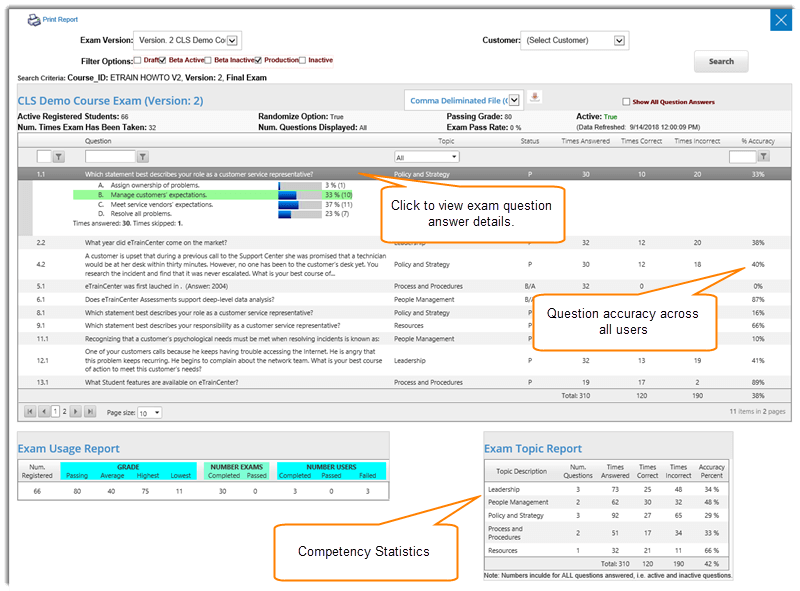 Exam & Question Versioning & Beta Questions eTrainCenter supports multiple exam versions, as well as question versioning and beta questions.Beta questions are those that are scored but are not used in the final student grade. These are used to determine the accuracy and effectiveness of a question. Once approved, these questions can be "promoted" to production questions while retaining the reporting of the original beta question. Assign questions to Topics Assign questions to topics. You can also group questions by topics while randomizing questions within those topics. 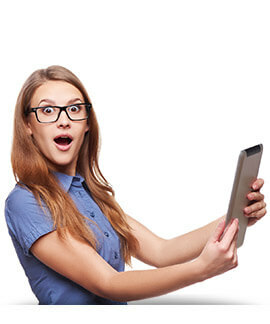 Image & video options Add image or video to your questions. Exam Question Security Question security can be set to restrict such options as screen printing, copying and pasting, accessing offline content, etc. Multiple Attempts Assessments can be set to allow Multiple attempts - optional. Administrator can also allow users additional attempts if necessary. Real-Time Grading and Certification Assessments are graded in real- time. An optional feature allows learners access to exam question feedback. Learners will receive an email with their grade and further instructions. If applicable, users will receive a printable certificate. Copyright © 2016 eTrainCenter.com, All Rights Reserved.